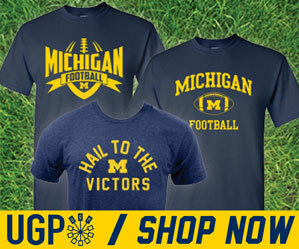 ANN ARBOR, Mich. -- The University of Michigan football team will play its annual spring game on Saturday, April 4, at noon from Michigan Stadium. The final practice of the 2015 football season will be broadcast live by the Big Ten Network. This will be the first public appearance for the 2015 football team led by first-year head coach Jim Harbaugh, the J. Ira and Nicki Harris Family Head Football Coach, and the Wolverines' new coaching staff. Additional information regarding the 15th and final spring practice will be forthcoming later this month. While at Stanford, Harbaugh conducted full-on drafts of players and coaches to create two separate teams which would face off in a typical game setting. Under Hoke, I don't remember Michigan ever using a formal game-type of event, opting instead to conduct more of an open practice/scrimmage. No word on whether Jim will implement that type of system here, although I wouldn't be surprised at all.